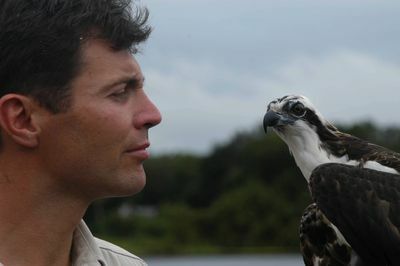 This month, Animal Planet's RAPTORS UNCOVERED swoops in with a special line-up featuring premiere programmes SEA EAGLES: BIRD WITH THE GOLDEN EYE, INCREDIBLE JOURNEYS WITH STEVE LEONARD: OSPREY ODYSSEY, EAGLE ISLAND and CORWIN'S QUEST: FALCON'S SWOOP. Please refer to the individual programme descriptions for airing details. Raptor - derived from the Latin word 'rapere', which means to seize or plunder - describes a bird of prey. Modern-day examples that we are more familiar with include hawks, falcons and owls. These raptors however have certain characteristics that set them apart from other birds, putting them at the top of their food chain. Equipped with a hooked beak, strong feet with sharp talons, and exceptional eyesight, they are skillful and deadly hunters. This month, Animal Planet and a host of animal experts including Jeff Corwin, Steve Leonard, and renowned lensman Gordon Buchanan take a closer look at some of these majestic birds in the RAPTORS UNCOVERED programming special. SEA EAGLES: BIRD WITH THE GOLDEN EYE tells the story of two white-tailed eagle families nesting in the forests of Belarus. In JOURNEYS WITH STEVE LEONARD: OSPREY ODYSSEY, we follow Steve Leonard as he tailgates three osprey chicks on their maiden migratory trip from Massachusetts to South America. Cameraman Gordon Buchanan turns his lens on the remarkable Island of Mull to capture the beautiful golden eagles and other wildlife in their stunning natural habitat, in EAGLE ISLAND. And CORWIN'S QUEST: FALCON'S SWOOP, Jeff Corwin experiences what it is like to "fly" with the best as he bungee-jumps with a peregrine falcon. The white-tailed eagle is one of Europe's largest surviving birds of prey. 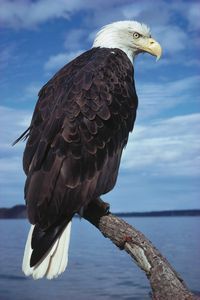 The film follows the story of two eagle families living in the forests of Belarus. 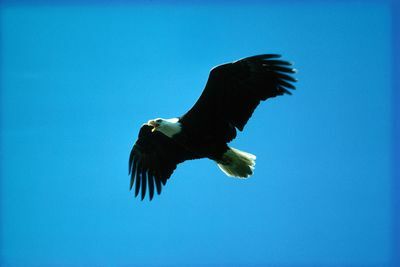 The eagle is more of a scavenger than a hunter, and it tolerates human company pretty well as long as the breeding territory is left undisturbed. When winter comes, the young eagles must make a hazardous journey south to the Black Sea. It is their first taste of true independence and a challenge to their survival. Steve travels alongside three osprey chicks, "Jaws", "Bunga" and "Tasha", as they embark on their very first migration from Martha's Vineyard, Massachusetts, to South America. Will the chicks survive a journey of over 3,000 perilous miles? More importantly, has Steve got what it takes to keep up? The stunning landscapes of the Isle of Mull provide a beautiful backdrop for this insider's guide to its wildlife. It is the perfect place to film - the island's blend of mountains, forests, coastline, and moorland is home to a huge array of wildlife. Otters, minke whales, seals, golden eagles and rare white-tailed eagles represent just a small part of the island's incredible biodiversity. Join eminent cameraman Gordon Buchanan as he turns the lens on his birthplace to give unparalleled insight into the wild characters of this remarkable island. 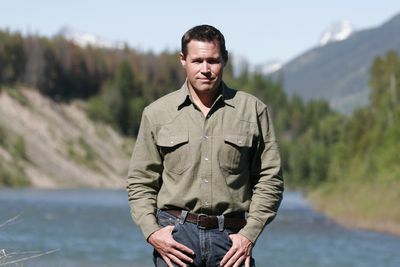 Jeff Corwin is on a mission to search of the world's most interesting animals. In CORWIN'S QUEST: FALCON'S SWOOP, Jeff desires to experience the animals' wild lives and not just watch by the sidelines. Pumping pure adrenaline, Jeff bungee-jumps with a peregrine falcon at 180 miles per hour, gets chased by a black mamba, challenges a cheetah and races with Jesus Christ lizards.